Sports is full of odd couples: Jackie Robinson and Branch Rickey. Floyd Mayweather Jr. and Conor McGregor. 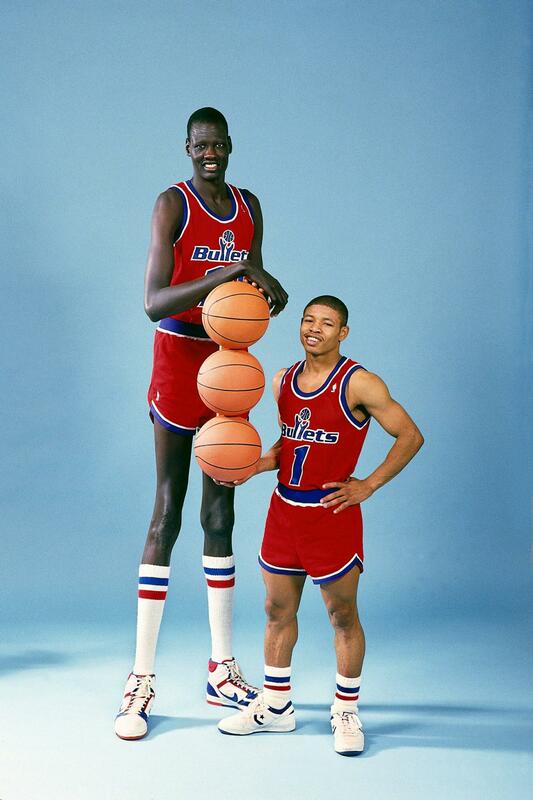 Manute Bol and Muggsy Bogues. But it's hard to imagine a more unlikely odd couple than Todd Radom and Ice Cube. Radom is one of the foremost sports designers of the past generation. He's designed uniforms, logos, and patches for countless teams, leagues, and institutions, including the full identity system for the Los Angeles Angels, the inaugural identity for the Washington Nationals, and the logos for Super Bowl XXXVIII and NBA and MLB All-Star games. He's also a serious sports historian, constantly digging through newspaper databases and other archival sources to uncover previously untold uniform-related stories. And Ice Cube -- well, you know who he is. 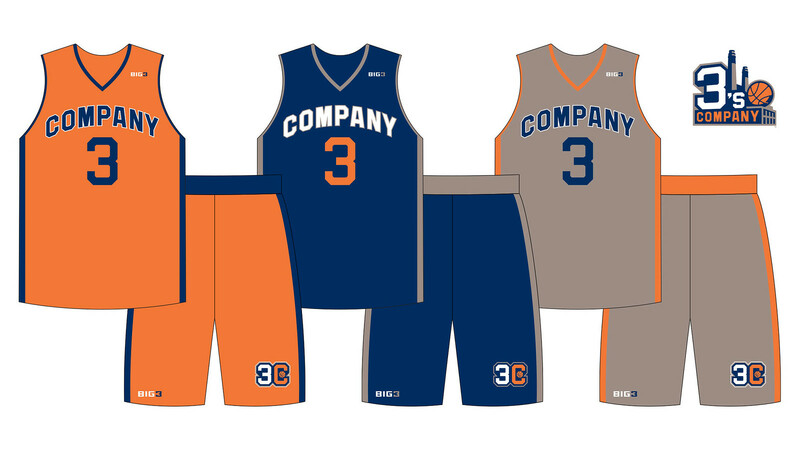 Radom and Cube had never been crossed paths until last September, when Radom was hired to create the logos and uniforms for BIG3, the new 3-on-3 basketball league featuring lots of former NBA players that will kick off its schedule at the Barclays Center in Brooklyn on June 25. Cube is the league's co-founder -- and, as it turns out, a man with strong feelings about logos and uniforms. So as Radom worked on the designs (you can see all of them here), he got a lot of input and feedback from Cube, resulting in one of the uni-verse's more unusual working relationships. "It was relayed to me right from the get-go that this was Ice Cube's baby, he's a very visual guy, and he's going to be very involved in this," said Radom. "We immediately had this great rapport. I really think it's one of the best collaborations of my creative career." "I think drafting gave me a good eye, you know?" Cube said in a recent phone interview. "The backdrop kind of fades out for most people, but for me, the backdrop catches my eye. I'm always interested in the presentation. I remember when I had my first group, called the Stereo Crew, I drew the logo. It was a boombox with a speaker bustin' out, like it was screaming, with eyes and a mouth. We wore it on the back of our jackets." Cube's interest in design extends to sports. Growing up, he said, he frequently drew the logo of the NFL's Los Angeles Raiders, which jump-started his interest in logo design. Like a lot of rappers, he got into the throwback jersey craze during the 1990s, and he looks at sports with a uni-watcher's eye. "Ugly uniforms make me cringe," he said. "Bad color combinations on TV -- that's the worst. That'll make me turn the game off." Or as Radom put it when discussing his partnership with Cube, "He's one of us. He's totally gets it." That may explain why Cube didn't want his league to have the kind of gimmicky uniforms that small, upstart leagues often use to get attention (think Arena football). "I wanted credibility," he said. "We're dealing with pro athletes coming from a classic league, the NBA. The goal was to elevate 3-on-3 to a professional stage. So we were doing everything we could to ensure that the product could stand the test of time." 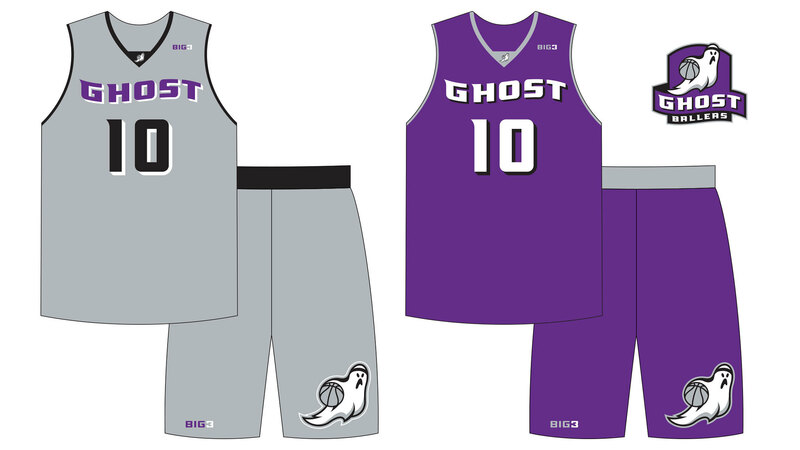 Another priority was avoiding the cookie-cutter look that often results when designing uniforms for an entire league at once. "The teams had to look separate," said Radom. "They should look like each one came from a different designer, if possible, because each team deserved its own look, its own feel." The results can be seen not just in the variety of the designs, but in the variety of the approaches. Some of the BIG3 teams' wardrobes include a white uniform and some don't; some teams have an alternate uniform and some don't; and so on. "I wanted a mix of styles," said Cube. "I wanted to start from old-time basketball, back when the game first started, all the way up to a modern look. What was cool about working with Todd is that he's able to give you all those different styles, all those different eras of basketball." With those parameters in place, Radom and Cube embarked on a design journey that by Radom's count included over 1,000 emails, text messages, and phone calls over the course of about three months (the two men have been in the same room only once, at a press conference back in January), with Cube often pointing the way. "Cube would say to me, 'OK let's talk Ghost Ballers [one of the BIG3 teams]. Let's think purple and black.' Or for 3's Company, when it was apparent that Allen Iverson was going to be on that team, Cube would say, 'Let's include some Georgetown gray there,' because that's where Iverson played college ball. There were also instances when he would text me a little sketch, and I would take some direction from that." Just to throw one more challenge into the mix, BIG3's teams don't have fixed home bases, so Radom wasn't able to put city names on the jerseys or use other geographical signifiers. "So I had to focus on the team names -- some of which really don't lend themselves to easy imagery," he said. "So for the Trilogy team, for instance, Cube said, 'Think B-movies, but not too scary, because we don't want to scare little kids.' At first we had something set to go that was strictly typographical, and he had actually approved it, but I felt like it wasn't complete, and at the last second I came up with that eyeball-in-a-basketball graphic." Because only three of the eight teams have white uniforms, many of the games will be color versus color, a factor that Cube intends to micromanage personally. "I have a breakdown of all the color matchups on my computer, just to make sure that everything looks great on TV," he said. "I'm going to pick all the colors that play in every game -- who plays who in what color -- because it makes a difference." • "I always liked the Bulls' uniforms. Just felt like it's so clean, like it did everything you want a uniform to do. You know, the logo of the bull is intimidating, the colors are simple but powerful." • "I've always liked the variety in the Suns' uniforms. Seems like they're always very creative and they have a lot of variety. And their colors are great, with the purple and orange. Amazing." • "I hate Boston, but the Boston Celtics have a great logo. They do." OK, so it's fun to talk to Ice Cube about uniforms. Still, you may be thinking that BIG3 is little more than a vanity project that will likely end up on the same scrapheap as so many other short-lived startup leagues (remember the UFL?). Fair enough, but there are reasons to believe this league may have legs. For one thing, it has genuine star power in the form of recognizable NBA names like Iverson, Kenyon Martin, Mike Bibby, Chauncey Billups, and more. For another, it already has a TV deal, with Fox Sports 1 slated to carry the games. And 3-on-3 basketball is a sport on the rise. Just this month, in fact, it attained Olympic status. That's why Radom and Cube are both bullish on BIG3's future. 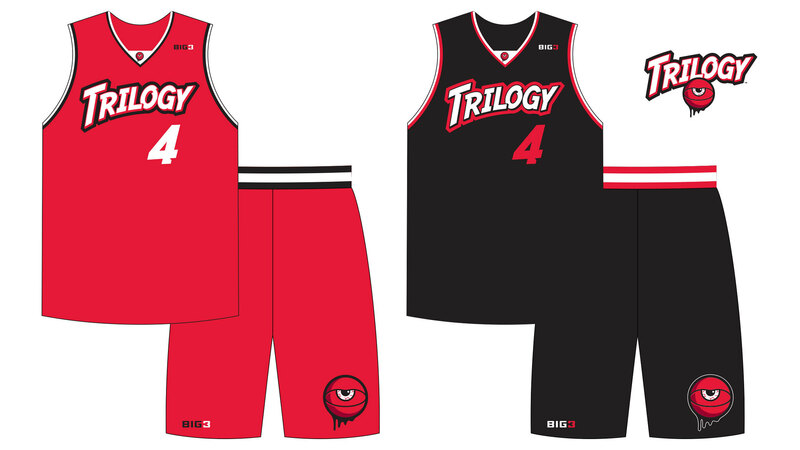 "Working on the uniforms with Todd has been my favorite part of putting together the BIG3," said Cube. "I can't wait until we expand to 16 teams so we can do it again." Paul Lukas played a lot of 3-on-3 basketball as a kid. If you like this column, you'll probably like his Uni Watch Blog, plus you can follow him on Twitter and Facebook. 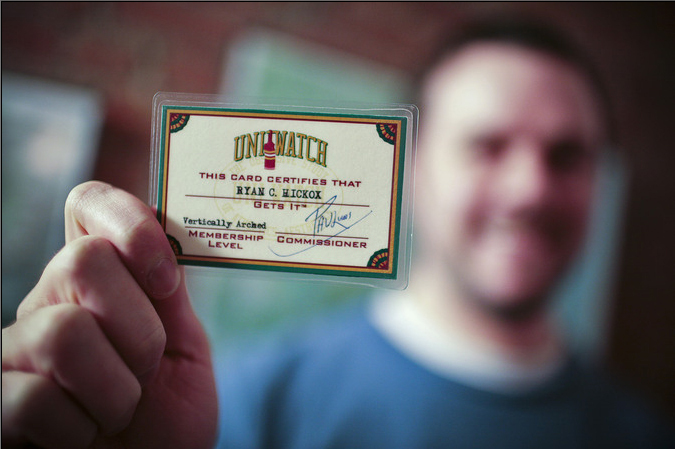 Want to learn about his Uni Watch Membership Program, check out his Uni Watch merchandise, be added to his mailing list so you'll always know when a new column has been posted, or just ask him a question? Contact him here.